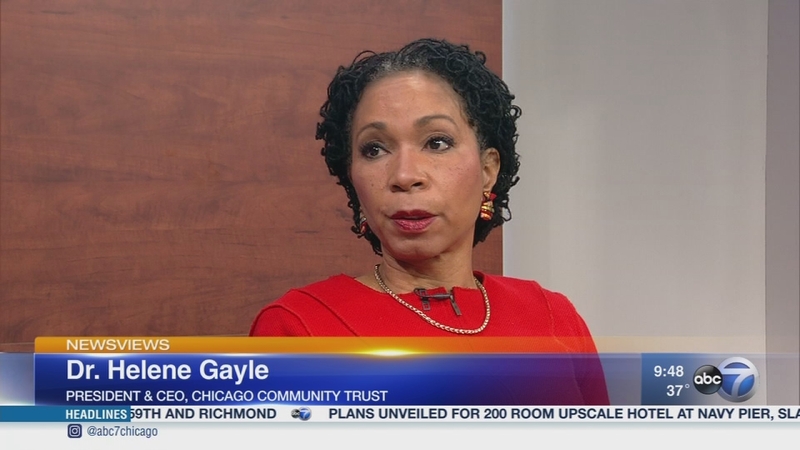 CHICAGO (WLS) -- Dr. Helene Gayle is a former pediatrician and the first woman to lead the Chicago Community Trust, the area's largest grant maker with nearly $317 million this year. Gayle has spent much of her career focused on social change and community development, nationally and globally. Now she'll do that here. So what drew her to this mission and how is Chicago Community Trust working to bring change to the city? Here to talk about that and more is Dr. Helene Gayle. Dr. Helene Gayle is a former pediatrician and the first woman to lead the Chicago Community Trust.